When we brought Android Pay to Japan in 2016, our goal was to create a unique mobile checkout experience that was tailored to Japanese shoppers. 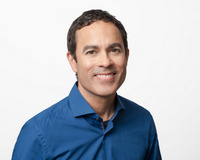 Since then, we’ve unified the different ways consumers pay with Google into a single brand: Google Pay. We’ve also updated the app to make paying faster and simpler, promote easy access to offers, and provide one, convenient place to manage e-money and loyalty cards on mobile using your Google Account. Now, we’re rolling out two new ways to pay that will make checking out online, in stores, and across Japan even easier. Starting today, you can add and manage your Suica and WAON cards in Google Pay if you live in Japan and have an Osaifu-Keitai eligible phone. This means four major Japanese prepaid e-money cards—nanaco, Rakuten Edy, Suica and WAON—can all be used with Google Pay. 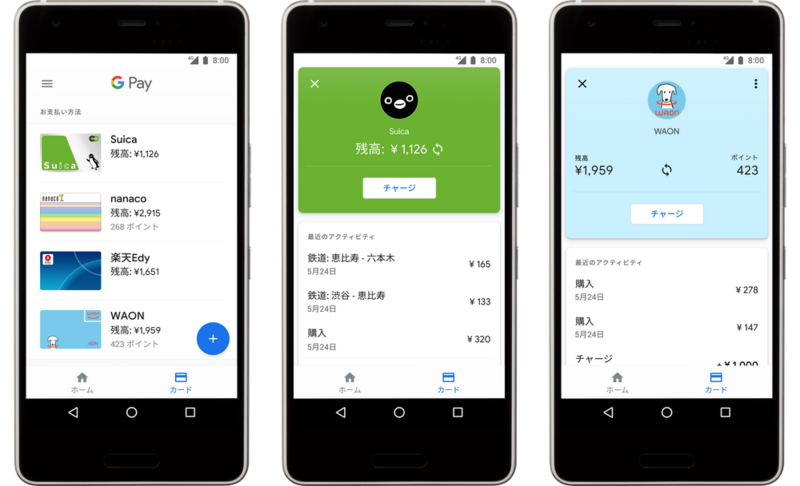 You’ll be able to pay with Google Pay at the hundreds of locations that accept any of these cards, plus pay on transit anywhere Suica is accepted. The Google Pay app makes organizing and managing all your cards effortless. You can use the app to quickly sign up for e-money cards using the information from your Google Account, check your balances and easily add money with your credit card, and set up low balance alerts so you’re always ready to go. You can also see your recent activity across all of your cards, get customized offers and rewards, and find helpful tips in the app’s Home tab. And if you use Google Pay for transit, you can check your commuter pass, bullet train, and green ticket details, plus register your Tpoint and dPoint cards and scan them right from the app. Adding Suica and WAON brings us one step closer to making paying faster and simpler for everyone, everywhere. Keep an eye out for even more features and new ways to pay in the upcoming months, and get the app now to see just how easy paying can be.